Are you going to release an album or single in 2019? Want to make sure you did everything possible to have a successful launch? Hey musician friends and colleagues! Many of you have asked me for advice on how to release an album or single as an independent artist. For five years, with each release, I gathered a list of the basic essentials. I want to share this “checklist” with you. Though every album release is unique. There are basic requirements and steps in common with all releases across all genres. To distribute your music, attract a fanbase and receive payments, there is a lot of paperwork. You must make plans and do research. If you are an independent musician, you might not have a lot of free time, a label or street team. This e-book is a checklist I wish I had when I released my first EP. There is no commentary or fluff in this list. It contains the bullet points, precise links and instructions. It is a starting place for your release and an introduction to some music biz basics. It will help you level the playing field and get heard in the crowd. It will save you hundreds of hours of research and give you more time to do what you love—making music. It’s available on Amazon Kindle and my website for the price of a cup of coffee. So, let’s put aside the guitar, bass or those drumsticks for a while – and let’s focus on getting this necessary work done. Wish your album or single be a great success! And, your music heard and appreciated by enthusiastic fans around the world. She made her debut in 2013 with the rock EP, “Sleeping World.” “Trials”—a song about the struggles of her ‘lost generation’—won an international music video award and was selected by the Greek press as one of the top-50 events to mark Greece during the economic crisis. From 2015 to 2018, she released four single-ballads “Love Will Heal”, “Love of Avalanches”, “I’m In Love” and “Deserted Eyes”. The music video for “Love of Avalanches” was one of the first handmade 360 virtual reality (VR) videos on YouTube and was showcased at NAB 2016. The 3D WebGL interactive experience made for the launch of the single “I’m in Love” was nominated on Awwwards.com in 2017. And finally, “Deserted Eyes” won three international music video awards, most recently in the London Greek Film Festival in 2018. 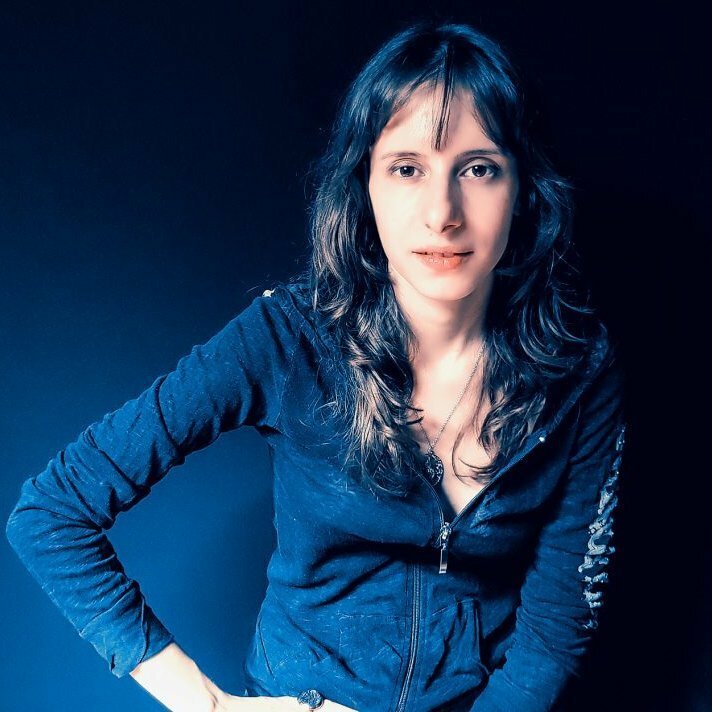 Her other releases include two progressive metal concept albums “Synemotion” and “Metallia” which are to be part of a trilogy. 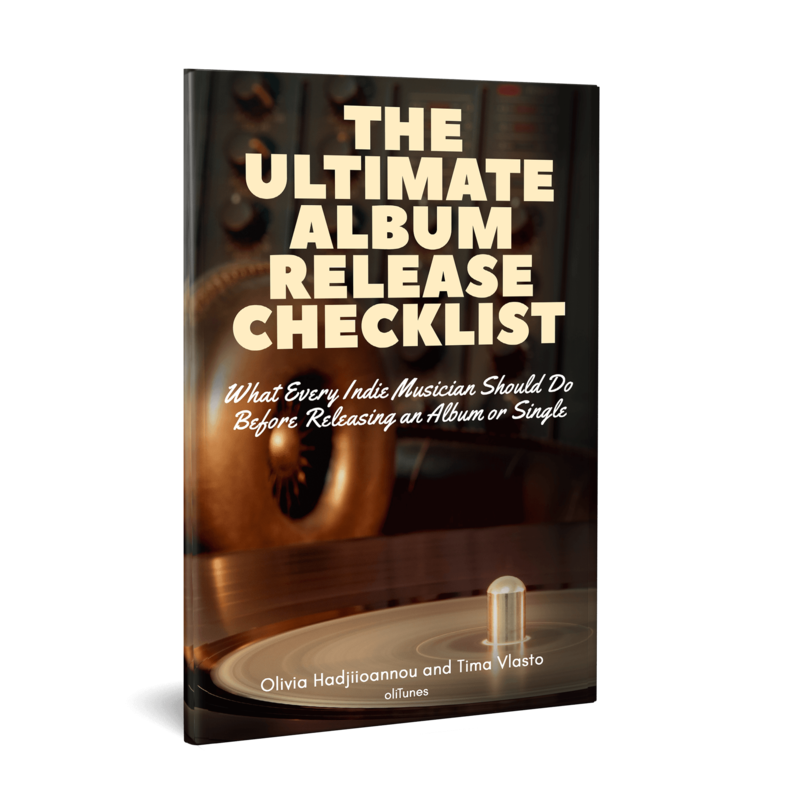 She is the co-author of the e-book, “The Ultimate Album Release Checklist”. Her work can be viewed on her website olitunes.com and you can connect with her on social media @olitunes. Thank you for compiling this exhaustive list. Really saves a lot of trouble and time searching online for all this information.